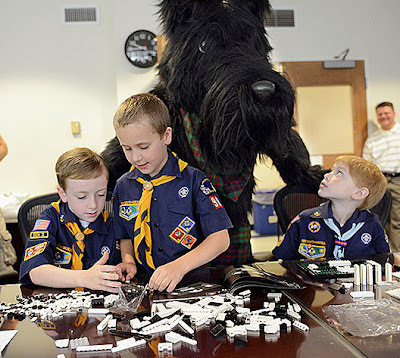 On Monday, June 17, the scouts of Pack 90 attended a Scouting for Engineers event hosted by the College of Engineering at Carnegie Mellon University. CMU faculty led very interesting hands-on sessions in architecture, botany, magnetics and chemistry. Scouts (and parents!) learned a lot, and each Scout received a special patch for the event. Most importantly, we had a lot of fun! Thank you Carnegie Mellon for hosting this event, and we look forward to attending next year!